GDPR is a double-edged sword for MSPs. On one hand, GDPR presents an opportunity for MSPs to sell additional services to customers concerned about their own compliance with the legislation. On the other hand, MSPs must abide by the same rules as their customers regarding data PLUS deliver and document to their customers the data protection efforts their services provide. 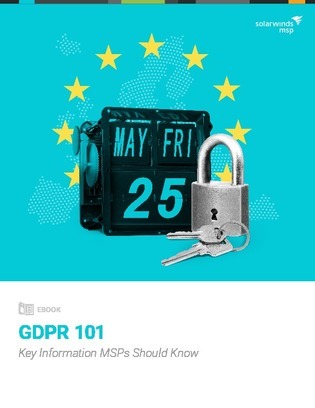 In this e-book, learn 10 invaluable tips for how to manage GDPR as both an asset (from a new businses perspective) and a liability (to your own data sovereignty).